Delray Beach Florida attractions include excellent shopping, restaurants, and The American Orchid Society. The city has many outstanding public beaches. The result is a charming, vibrant, and decidedly upscale community of 64,000. A Master Plan developed by the city resulted in an extensive renovation of the downtown area. The renovation has been extremely successful – small town charm has been preserved, traffic moves on streets that are also pedestrian friendly, and the community’s residential and commercial opportunities are booming as a result. Delray Beach offers apartments near the ocean as well as single family homes. Attractions include excellent shopping and restaurants. The American Orchid Society is a popular draw. The city has many outstanding public beaches. Proximity to the attractions of Fort Lauderdale and Miami give ready access to culture, big-time shopping, and major league sporting events. There are 2 municipal golf courses in town. Active adults will love living in Delray Beach, where it is possible to live near the water – either the beach or intra-coastal and its system of connecting canals - and enjoy a walkable downtown. Delray Beach has a rich array of choices for retirement living. Housing options include apartments, homes, condos, and town houses. The median home value was $200,000, in late 2018, according to Zillow.com. However, homes near the beach and in the downtown will be much more, easily going into the millions. Two miles of beautiful white sandy beaches; unusually livable downtown; warm weather all winter; average Jan temperature is in the mid-60s; many upscale as well as affordable housing opportunities for retirees, including high rise apartments near the beach. 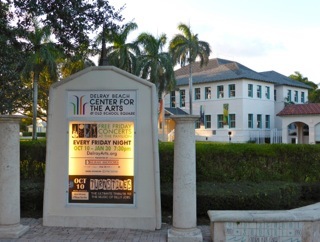 Three-time selection as an All-America award city based on its citizens' participation; Broward Center for the Performing Arts in nearby Fort Lauderdale. The Delray Beach Tennis Center has hosted several major international tennis events. Delray Beach is on the southeast coast of Florida, about 40 miles north of Miami and 15 miles south of West Palm Beach. The terrain is flat and lushly green and floral, with the Atlantic Ocean on the east and the Everglades several miles to the west. Delray Beach has many artists and galleries in residence. The Delray Beach Public Library has 250,000 volumes and free and ample parking. The Delray Beach Cultural Alliance, Delray Beach Chorale, and the Delray Beach Playhouse are important cultural institutions. Nearby Fort Lauderdale, Palm Beach, and Miami have much to offer culturally. Art & Jazz on the Avenue is a popular event held 6 times per year. 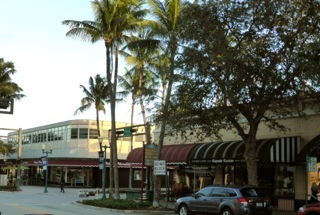 The Downtown Delray Beach Arts District features galleries and cultural organizations. The Delray Beach Center for the Arts at Old Square has a huge and beautiful complex right downtown with very a busy schedule. Morikami Museum and Japanese Gardens is a very popular Delray attraction. There are plenty of good restaurants around town including Dada. There are 10 hotels as well, as this is a popular tourist destination. Crime in Delray Beach is more than a third higher than the national average, much of it burglaries and thefts. The Delray Medical Center is located in Delray Beach. Other hospitals are located nearby in Boynton Beach and Boca Raton. Several railroads pass through Delray Beach. Amtrak provides passenger service to other cities on the Atlantic coast, and Tri-Rail provides commuter service from Palm Beach County, through Broward County/Delray Beach, and into Miami-Dade County. Palm Beach International is 15 miles away, Fort Lauderdale-Hollywood International Airport, 28 miles away, is one of the fastest growing airports. Delray Beach is below average in walkability when compared to other communities if you live out of the concentrated downtown, but great within that area.